Hearing is the first sense to develop in humans making speaking and listening, deeply ingrained facets of human communication. From a neurological perspective, our brains are wired for sound. The way that we humans process sound and music both scientifically and psychologically is incredible. Hearing is our fastest sense. Humans can recognise sound in 0.05 seconds whereas it takes the brain 0.25 seconds to process visuals. With brands all desperately vying for the consumers’ attention, advertisers are really starting to understand the importance of a sonic identity. 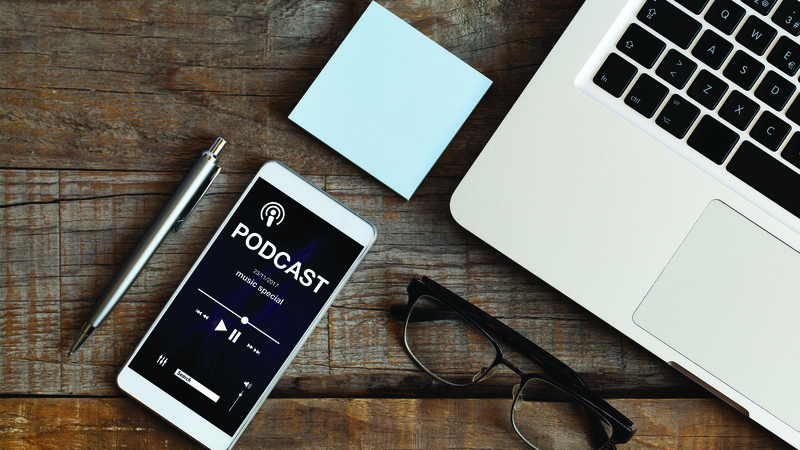 Both marketers and advertisers have recently been discussing this idea of the “new audio world” or what some others are calling the “audio renaissance”. Essentially, this is the revival of audio and the demand for audio content due to behavioural and technological developments. In terms of behaviour, our busy modern lifestyle has led to demand for more audio content as this is a passive experience. It allows people to go about their day as they consume the content. This has seen a rise in the number of people consuming audio content such as radio, podcasts, streaming music and audiobooks. It’s also contributed to the rise in the use of voice commands which allows for screenless browsing. From a technological point of view, because of technological advancements, the term “unlimited audio” is being used to basically refer to audio becoming more and more ingrained in our every lives. There are now many modern ways to listen to radio and audio through apps, streaming and smart speakers. Apple were the first ones to axe the headphone jack and drive a new trend called “hearables” in the wireless world. They allow earpieces to connect to devices to track things like heart rate, cadence or to detect proximity. Recording and transmitting audio, has been a technology available for 120 years. However, from the beginning, the process of moving audio from one location to the other has involved compromise and reduction in quality. Wireless networks are getting faster at an exponential rate, enabling higher bandwidths and fewer congestion issues. The top worldwide technology brands are investing heavily in audio. Recently Samsung announced their ‘Galaxy Home’ device which actually looks a bit like a small space rocket. The smartphone and the smart speaker (and soon the smartcar) are becoming the central control units for our connected life. They are going to give more location-based services and tracking of personal data which will offer even further individual targeted advertising. This technology will further effect our modern lifestyles and drive the need for even more audio in the car. Brands need to understand and further embrace the power of audio. Understanding how audio impacts moods and how it triggers certain reactions will be the key. A brand’s audio signature is also going to become incredibly valuable and should be leveraged now with radio. The sound of a narrator’s voice, the music featured, the audio slogan and much more can trigger different consumer responses, helping create more impactful radio and audio.